(Portland, OR) – Communities of color are increasingly engaged in Oregon’s future, with leading cultural organizations mobilizing voters for Yes on Measure 97. With Oregon’s demographics rapidly changing, and more than 1 in 4 Oregonians identifying as persons of color, Measure 97 would reverse decades of public divestment that have perpetuated racial disparities, investing in Oregon’s long-term health and prosperity. In support of Measure 97, key organizations have announced plans to engage Oregon voters through door knocking, multilingual phone banking and bilingual ballot parties. Groups including the Coalition of Communities of Color, APANO, Causa, Unite Oregon, and the Oregon Latino Health Coalition are scaling up efforts with hundreds of new volunteers to reach 13,000 voters, including those who have been recently registered through Oregon’s New Motor Voter Law. “Measure 97 will provide Oregon with the ability to make targeted investments in education that will improve outcomes for communities of color,” says Julia Meier, Executive Director of the Coalition of Communities of Color. “Our groups are fired up and getting out talking to neighbors, family and friends for Yes on 97. 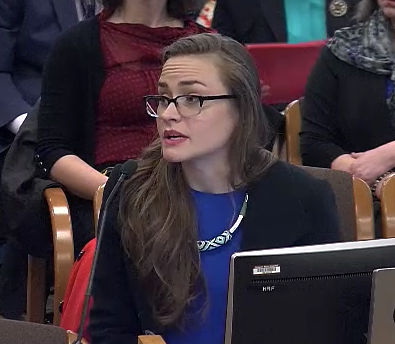 After decades of divestment, Measure 97 stabilizes revenue for Oregon and allows us to extend health care access to children and families across Oregon,” says Andrea Williams, Executive Director of Causa. Measure 97 would raise the minimum tax on corporations, applying a 2.5% tax on Oregon sales over $25 million dollars. Measure 97 is endorsed by over 260 organizations. 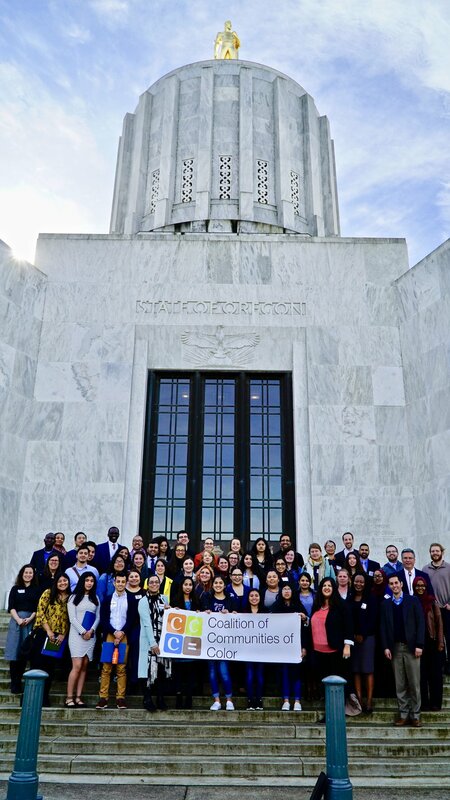 This legislative session, Governor Kate Brown signed into law HB 3499, a comprehensive approach to improve outcomes for Oregon’s English Language Learners (ELL) by increasing transparency, accountability, and systemic supports for schools, educators, and students. Currently, only 49% of ELL students graduate from high school and for many years, communities of color throughout the state have struggled with these detrimental educational outcomes. Leaders from communities of color knew we could do better, and with HB3499, our communities have the ability to turn this crisis into an opportunity for students throughout Oregon. HB3499 will ensure that ELL resources are focused on delivering quality ELL programming to our most vulnerable students and resetting the status quo of using these critical resources to fill shortfalls in school budgets. The CCC, our members, and our community partners were instrumental in all leading facets of this groundbreaking legislation – from research on best practices for ELL students, to compiling statewide data on ELL outcomes, to drafting the bill, and to building a broad base of support with communities of color throughout the state. The CCC appreciates the leadership of Asian Pacific American Network of Oregon (APANO); Center for Inter-Cultural Organizing (CIO); as well as our advocacy our partners at Stand for Children and Northwest Health Foundation. In addition to community leadership on HB3499, the Department of Education and the Governor’s Office provided leadership in convening all stakeholders to have facilitated dialogue about the impact of this legislation leading up to the session. HB3499, which was sponsored and championed by Representative Joe Gallegos, passed with unanimous support from both the house and the senate. If you have any questions or need any more information, please feel free to contact the CCC.